How often do you go out with your spouse without the kids? It is a rare occasion around here. 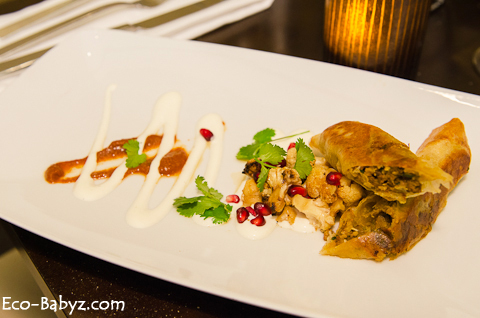 Recently we had the pleasure of dining at an up-and-coming Boston area restaurant, Nubar. Surreal to arrive and leave the car without having to unbuckle two kids, check for extra diapers, and making sure you've got enough snacks on hand to keep them happy. 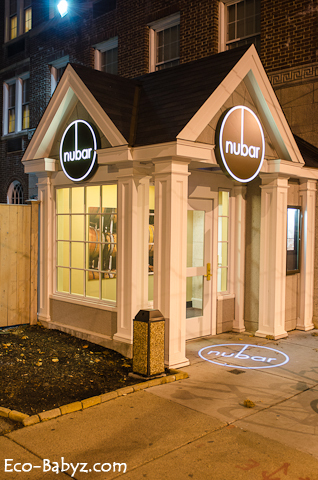 If you live in the Boston area or you're coming to visit, Nubar should be right up there on top of your list! Located at the historic Sheraton Commander hotel in Cambridge, the designer decor invites you in as you step into the entrance (photo below). As an Interior Designer myself, I appreciate good design and it wasn't hard to spot - very good use of space that might otherwise be wasted simply because it is partially below ground. Warm and cozy, even on a chilly November evening. 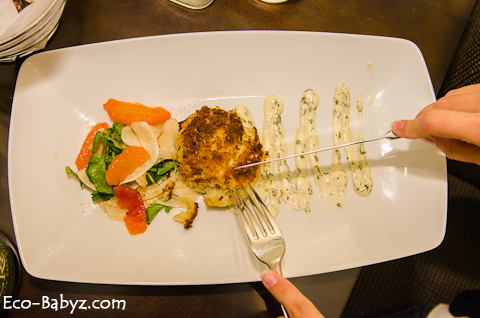 To begin with, the lamb with eggplant cigar and crabcake appetizers were a-m-a-z-i-n-g! Contrasting flavors perfectly complementing each other beginning to end. Just enough of a tease before the entrees. 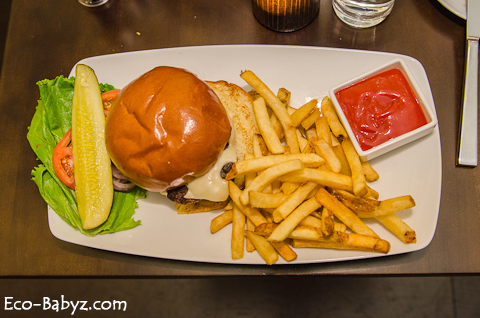 My husband usually goes for something exotic on the menu, this time he wanted to play it safe with a Nubar Burger. Maybe because we haven't been to 'fast food' in over six years and he was kind of craving it [wink]! It was very generously sized and delicious even in its simplicity. I had the duck breast, which was medium rare. I would have to say it was the best duck I've had to date, seriously. I admit the brussel sprouts were pretty good despite the fact I usually don't like them. 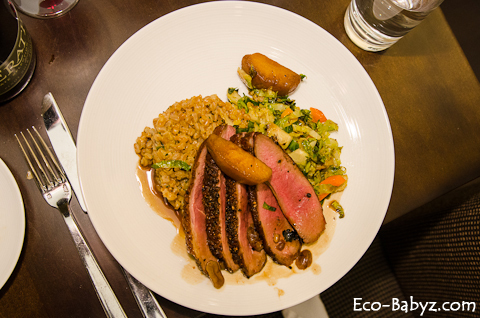 The farro went with the duck perfectly, this ancient spelt grain is very good for you and I love the taste. It actually reminds me of Russia, where I come from - it used to be very common there and I remember eating it in soup and as a side. We asked for a wine recommendation and were very happy with the Erath Estate Collection Pinot Noir, a perfect pairing for both of our dishes - not that I had much since I'm still nursing. 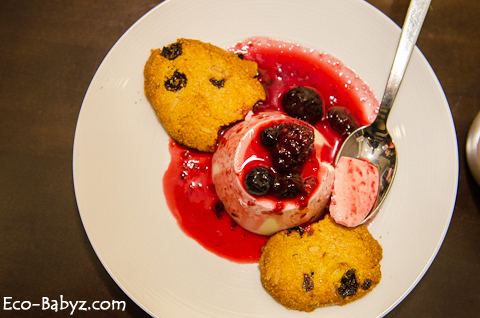 Most often we do not have room for dessert when we dine out, or the kids are too anxious to leave. It was amazing to finally enjoy some dessert without the kids and not to rush out of the restaurant! I had the Lemon Panna Cotta, it was a perfect finish to this meal. 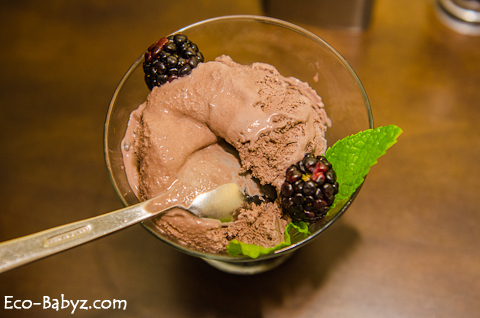 Not too sweet, perfectly portioned and perfectly paired with the mixed berry compote. The ice cream from a local shop was, in the words of my husband, "the best blackberry ice cream ever". 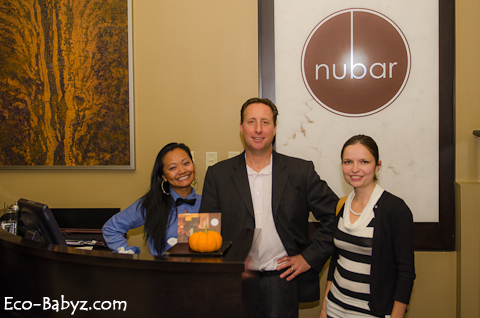 Aside from the amazing meal we were privileged to enjoy, there is a lot more to love about Nubar. 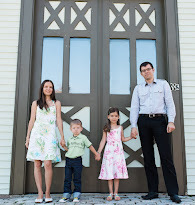 I felt that they really do have a great sense of what is sustainable and what's healthy. They are well on their way to being pioneers in the restaurant industry - and they are, considering they even grow their own rooftop garden of herbs, lettuces, and veggies! We also really enjoyed the water they serve. What's so special about it? Well, instead of carting boatloads of bottled water, they use a sophisticated sustainable water filter on the premises - and I have to say it is one of the best tasting waters I've ever had. I'm pretty picky about water and both my husband and I are discerning about the taste! 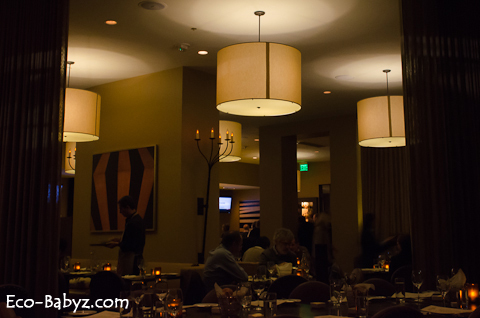 We were also surprised at the reasonable prices for a restaurant of this caliber in such a location. 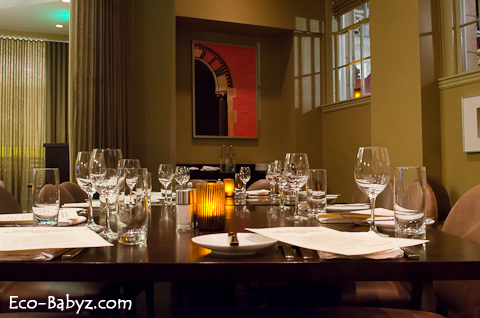 The appetizers are $13 and $12 each, the Nubar Burger is $12 and the duck is $27. The desserts were $8 each. 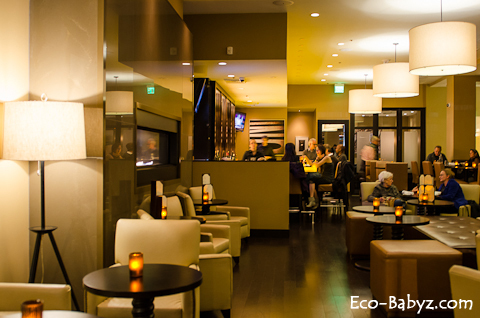 Whether you need a date night spot or just a place to unwind with some friends, Nubar is perfect in every way. The attentive service, the atmosphere, and delicious offerings are worth the visit if you're in the area. Tell them Anastasia from Eco-Babyz sent you! Disclaimer: I did not receive payment for this review. I did receive a complimentary dinner for review purposes. All opinions are my own. Wow, it looks like a great restaurant! Did they happen to have a gluten free menu? Just curious. Anyway, I will have to check them out sometime!